House prices in Donegal for the first three months of 2018 were 2% lower than a year previously, compared to a fall of 7% seen a year ago. The average house price is now €139,000, 47% below peak levels. The figures have been released by proprty website, Daft.ie. The average price nationwide was €247,000, 7.3% higher than a year ago. 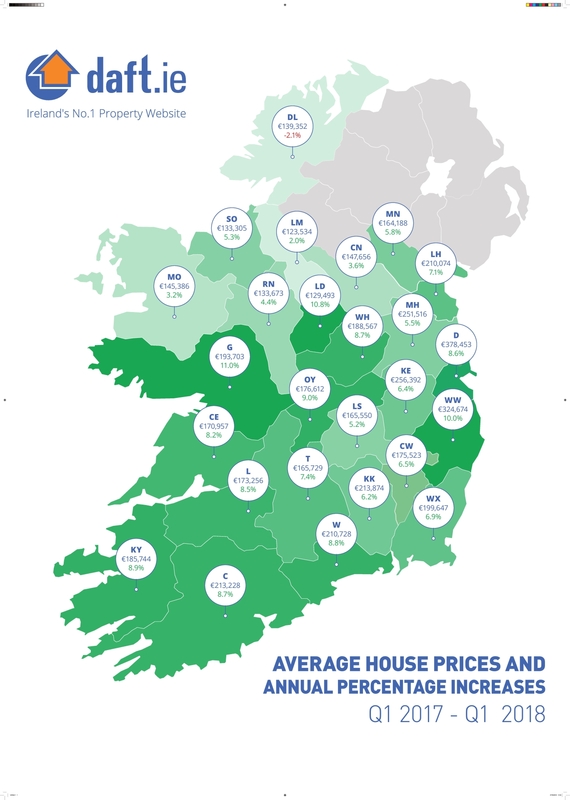 Compared to their lowest point in 2013, prices nationwide have risen by an average of 50% or just over €82,500.